Wow, I am really loving these new In Colors! They work so well in so many combinations. 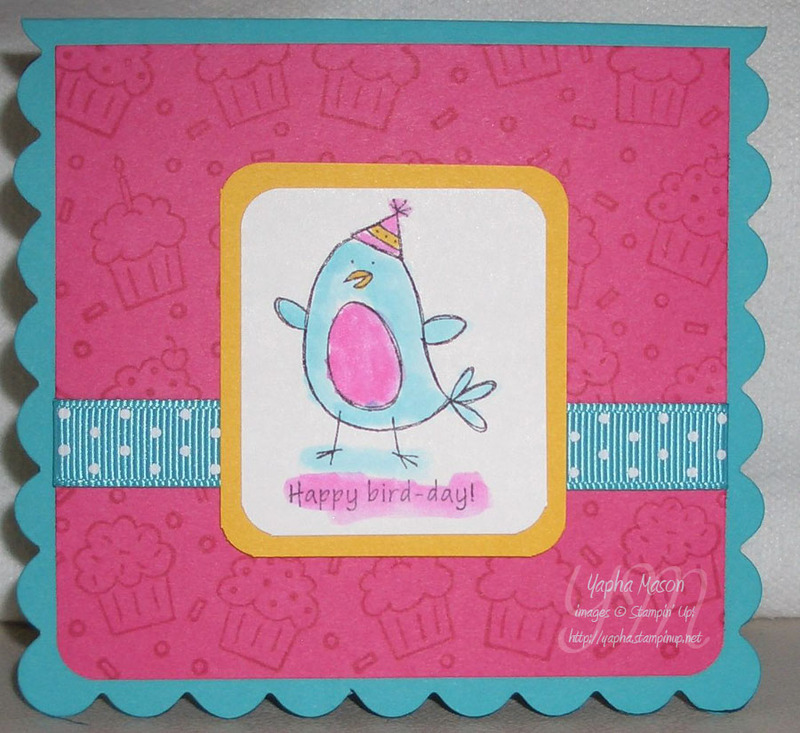 I made this card for Friday’s Color Combo Challenge over on Stampin’ Addicts. The colors were Bermuda Bay, Melon Mambo, and Crushed Curry. To make the base of this card, I used the new Clear Square Scallop Bigz Die. I love this die! I folded a regular card base, then carefully placed it so the fold was inside the row of scallops. Fast and easy and super cute!